Personalized navy blue 43” arc poco umbrellas are largely sought by marketers who possess navy blue brand themes and those who wish to gain appreciation from their customers. 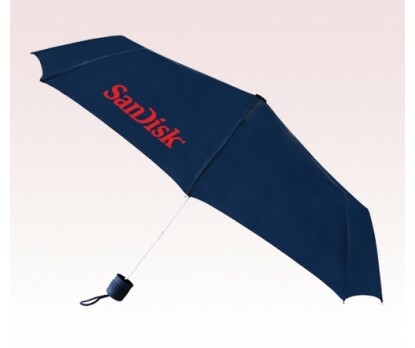 This umbrella can be gifted along with some purchases or it can be offered as a complimentary token during festive sales. This umbrella is affordable and it can be sought for bulk gifting. Features - Manual open function, 43” arc navy nylon canopy, steel windproof frame, and rubberized handle. Dimensions - 43" arc - Closes to 10". Imprint area - 7"W x 6"H.